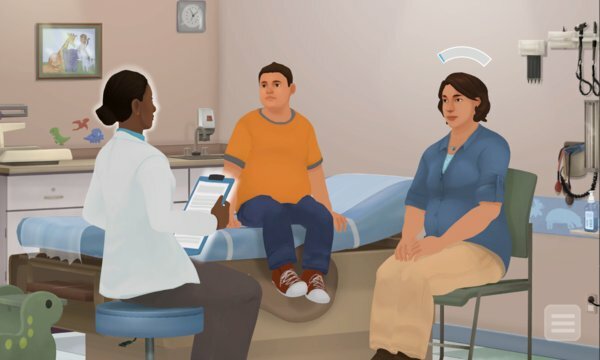 Change Talk: Childhood Obesity™ is a role-play simulation where you take the role of a healthcare provider and engage in a practice conversation with a virtual mother and her child. 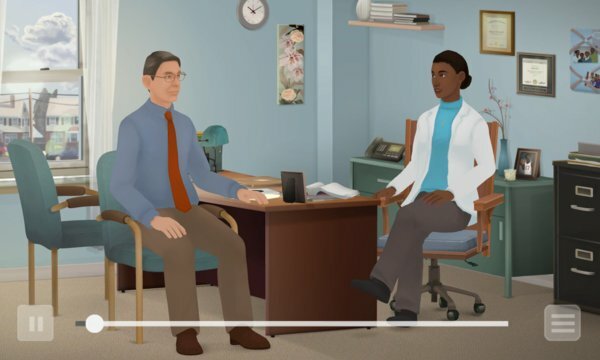 Through the conversation, you learn to apply Motivational Interviewing (MI) techniques to help them build motivation for change, leading them to implement changes in their diet, screen time, and exercise. Motivational interviewing (MI) is an evidence-based and patient-centered method for enhancing intrinsic motivation to change health behaviors. Change Talk: Childhood Obesity™ was developed by the American Academy of Pediatrics™ and Kognito™ and is designed for many types of healthcare providers, including pediatricians, nurses, family physicians, and nutritionists. • The AAP designates this enduring material for a maximum of 0.50 AMA PRA Category 1 Credit(s)™ . Physicians should claim only the credit commensurate with the extent of their participation in the activity. • This activity is acceptable for a maximum of 0.50 AAP credits. These credits can be applied toward the AAP CME/CPD Award available to Fellows and Candidate Members of the American Academy of Pediatrics. • The American Academy of Physician Assistants (AAPA) accepts certificates of participation for educational activities certified for AMA PRA Category 1 Credit™ from organizations accredited by ACCME. Physician assistants may receive a maximum of 0.50 hours of Category 1 credit for completing this program. • This program is accredited for 0.50 NAPNAP CE contact hours of which 0 contain pharmacology (Rx) content, (0 related to psychopharmacology), per the National Association of Pediatric Nurse Practitioners (NAPNAP) Continuing Education Guidelines.